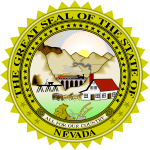 The Nevada Living Will Declaration is also referred to as the Health Directive and is a document which is created in accordance with statutes §§449.535 to 449.690. 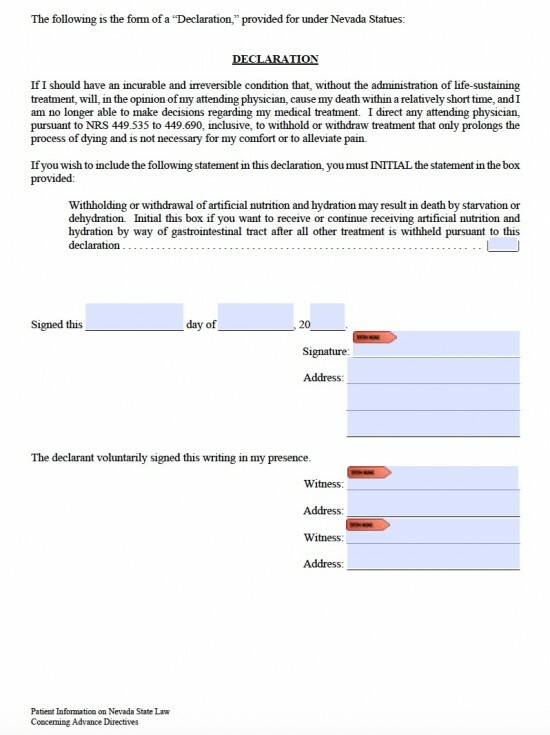 The document assists a person (usually described as the `Principal`) to elect their medical treatment when they become incapacitated so may no longer make these choices. A Nevada living will requires a notary or two witnesses. The principal must, if they wish, initial the box to receive artificial hydration and nutrition after all other treatment is withheld. The principal must also enter theirs and the witnesses details.